Wrestlers compete at all levels of competition from high school to college to the Olympic level. Wrestling is a physically demanding sport that has been around for thousands of years. Some believe it is one of the oldest sports around. Wrestlers compete at all levels of competition from high school to college to the Olympic level. There are various tournaments throughout the country, which are sponsored by different organizations such as the U. S. Wrestling Foundation, the American Athletic Union and the Olympics. In San Diego County we have multiple high school and college sponsored tournaments. These tournaments are dedicated to athletes of all sizes, ages, genders and experience. Wrestling offers something for everyone. Each participate is matched with some one of their equal weight class and experience level. This helps decrease the risk of injury overall. Even though these rules are put in place to decrease the risk of injury they still tend to occur as in any other sport. Wrestling injuries most commonly affect the head, shoulders, knees and skin but can also affect other areas of the body. These injuries can range from sprains and strains to more serious traumatic type injuries. In our clinic we successfully treat many of these sprains and strains. I see a wide variety of these musculoskeletal type injuries. At our clinic we often see a direct relationship between injuries, age of the participant or athlete, and frequency of participation. Some of the most common injuries include—various muscle strains, prepatellar bursitis, ACL and PCL tears, MCL and LCL tears, groin pulls, Neck sprains and strains, Shoulder injuries—ie. Rotator cuff tears, separations and dislocations, bruises and contusions, concussions, hamstring and quadriceps strains. Below is a list of some of the more common wrestling injuries that we treat in our clinic on a regular basis. A neck strain occurs when a muscle, tendon or ligament overstretches beyond its normal fiber capacity causing tearing in the muscle and tissue fibers. This will often cause the neck musculature to go into spasm. In wrestling this can occur with a sudden fall, impact and /or contact with the other competing athlete or mat when trying to pin your opponent. These types of injuries usually occur when the head is forcibly moved from one position to another. 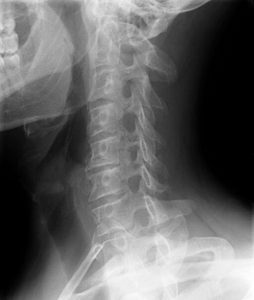 This is common “Whiplash type injury”. This pain may start right away or come on after a few hours or days after the initial injury. As the spasm progresses, it will begin to feel tight and be very tender to the touch. These muscle spasms can sometimes lead to tension headaches, which can mimic migraines or even a concussion. When there is any type of impact type injury you want to first make sure that there is no chance of a concussion. This can be screened out with a few cognitive and neurological exams. and the knee is contacted from the side or rotated very quickly such as getting flipped over or pinned in wrestling. This force causes hyperextension and extensive twisting of the knee causing the ACL to tear. The extent of the tear depends on the amount of force and twisting the knee has undergone. Many times the athlete or wrestler will hear a “pop” after the injury. 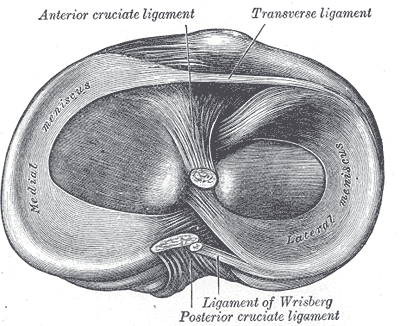 This usually is the result of a complete tear of the anterior cruciate ligament. When the ACL is injured, swelling around the knee will usually come on very quickly. The athlete will describe the knee as being very unstable and sometimes too painful to bear weight on it. Initially crutches should be used in order to take pressure off the knee. An MRI should be considered to see the degree of the ligament damage. Many times when the ACL is torn you will also have damage to other structures of the knee such as the Posterior Cruciate Ligament (PCL), Meniscus or Collateral ligaments. Prepatellar bursitis results from irritation or inflammation to the bursa that lies in the front of the kneecap or patella. A bursa is a fluid filled sac that helps to cushion and reduce friction between tendons, tissue and bones throughout the body. This bursa is located in the front of the kneecap near the patellar tendon attachment. This is a common injury in wrestlers since their knees are constantly rubbing on the mats. When a bursa gets irritated it will swell up and cause a lot of pain in the front of the knee. It will often look swollen and hurt with any pressure placed upon it. Pain will also increase with any type of movement such as extending or flexing the knee joint. This injury can be treated conservatively with therapeutic ultrasound, sports taping, and various exercise modifications to the athletes existing exercise regiment. In severe cases that do not respond to conservative treatment, a corticosteroid injection may be administered to help reduce inflammation. Bursitis is the one instance that a cortisone injection can be very effective if performed properly. This type of injury occurs when there is a blow to the inner or outer side of the knee such as someone hooking the leg during a wrestling match causing the knee to buckle. This contact will cause excessive stretching and/or tearing of the ligament. This can also occur by any unwarranted twisting on the knee. These ligaments connect the femur to the tibia and help to prevent lateral motions of the knee. 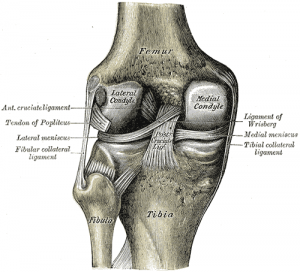 When one of these ligaments is injured the inner and/or outer knee will be tender to the touch. There is often mild swelling near the joint and the wrestler will have the feeling of the knee giving way. If the ligament ruptures during the contact the wrestler will sometimes hear a pop or snapping sound. The degrees of injury can be easily detected with various orthopedic testing in our clinic. Based on the degree of injury a treatment plan can be devised to speed the process of healing. Is a tear in the muscles or tendons, which are located in the back of the thigh. This muscle group function is to bend or flex the knee. People sometimes refer to this type of injury as a “pulled muscle” if it is in the belly of the muscle. If it occurs near the tendon it is considered a tendonitis. Hamstring tendonitis can progress to hamstring tendonosis if not treated properly. Tendonosis is a thickening and scarring of the hamstring tendon. This type of injury usually occurs when the hamstring contracts very quickly and forcefully which occurs many times throughout a wrestling match. This pain can sometimes radiate down to the back of the knee. The pain will feel like a burning sensation in most cases. The area of the strain will be tender to touch and activities involving running, sprinting and jumping will cause pain. Most wrestlers mistakenly interpret this hamstring pain as “hamstring tightness” or spasm. They attempt to stretch the area and massage it, often only aggravating the problem. This condition is common in people who play sports that involve changing direction or quick sudden movements such as getting into position and trying to pin your opponent in a wrestling match. If to much stress is put on the muscle or tendons of the inner thigh region they can over-stretch and microscopic tears can occur. This is due to the muscles contracting too forcefully, especially during activities such as jumping and cutting back and fourth as when changing direction while maneuvering on your opponent. This condition involves pain or tenderness along the inner thigh region. Pain will increase when the thighs are brought together and the muscles are activated. Jumping or pushing off from one leg will also increase the level of pain. This type of injury needs to be addressed properly otherwise this injury can turn into a chronic problem. Conditions that are sometimes confused with a groin strain are hernia, sports hernia, bursitis and stress fracture. A proper diagnosis is necessary in order to facilitate timely healing. The shoulder joint is one of the most frequently dislocated joints of the body due to its enormous degree of movement within the ball and socket type joint. A dislocation occurs when the Humerus (upper arm bone) and Scapula (shoulder blade) are moved apart far enough to over stretch the ligaments and other tissue of the shoulder. This causes the joint to no longer function correctly. Damage to ligaments, muscles, tendons and nerves can occur. Dislocations typically occur when there is some type of impact, which causes the arm and shoulder to maximally rotate and abduct away from the body. This extreme force causes the humerus to pop out of the joint and dislocate or subluxate (partial dislocation). In wrestling, the athlete usually falls on an out-stretched arm while falling to the mat and dislocates the shoulder. With this type of injury the joint needs to be set back in place immediately in order to avoid excessive swelling, pain, muscle splinting and permanent damage. Usually an x-ray and MRI are warranted to detect any damage to the joint (ligament) and musculature (rotator cuff) surrounding the shoulder region. Our protocols for shoulder rehabilitation include Kinesiotaping the joint into a stable position decreasing pain and promoting alignment and stability. By KT taping the glenohumeral joint slings and uncomfortable braces can be avoided. 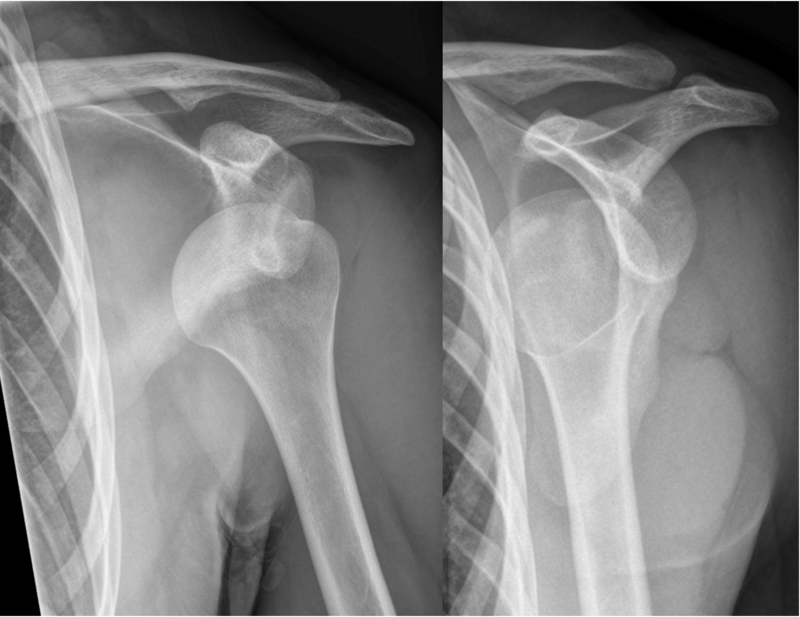 Our techniques treating shoulder dislocation and instability utilizing K-taping and rehabilitation techniques produce spectacular results in a surprisingly short time. A separation can occur when a wrestler takes a blow to the shoulder region or falls onto the shoulder. This injury results in a tear to multiple ligaments of the shoulder complex usually affecting the clavicle. This type of injury causes the clavicle to move from its normal position to a new-elevated position. You will usually be able to see a raised bump near the top front of the shoulder. This type of sprain (torn ligament) is sometimes referred to as an Acromioclavicular or AC joint separation. Depending on how far the clavicle is raised depends on the Grade of the tear/separation. Tears are usually categorized into 3 stages—minor or grade 1, which are microscopic tears and can be fixed with ultrasound treatments, myofascial release, Kinesiotaping/Rock Taping and exercise therapy. The second type of tear is moderate or a grade 2 tear. These tears are slightly larger and can take longer to heal. These will cause more pain and usually cause an increase in swelling but can heal nicely without surgery. The final type of tear is a severe or a Grade 3 tear. This will usually require surgery in order to align it. I cannot speak for all clinics that treat wrestling injuries but in my experience diagnosing it accurately is very straightforward. During the initial examination I perform a series of manual orthopedic and neurological tests that can differentiate between the most common conditions. These tests are sometimes referred to as “provocative” tests as they are intended to provoke the pain slightly which helps accurately diagnose the condition. These orthopedic and neurological tests help to differentiate between the various conditions and arrive at an accurate diagnosis. Typically, neither X-rays nor MRI’s are necessary to accurately diagnose a patient’s condition. In the cases of trauma X-rays might be used to make sure the patient has not fractured a bone but if any soft tissue injury is suspected X-rays are of little use. If an MRI is warranted we either order the MRI through the patient’s insurance or send them to a facility that we have a cash plan with. Surprisingly MRI’s can be done for as little as $500! Once an accurate diagnosis is reached a proper treatment protocol is recommended to the patient. It is not unusual to provide the patient with multiple treatment options ranging from the most conservative (do nothing) to the least conservative (have surgery). In fact, very few patients require surgery except in the most serious of situations. Our job is to help you avoid surgery and we are very good at that. We like to take an all-inclusive approach (“kitchen sink”) when treating someone with a wrestling injury. Home stretching and strengthening programs – it is crucial that the athlete take a leading role in rehabilitating their own injury. Sports Taping/Kinesiotaping/Rock Taping – takes the place of uncomfortable slings and braces and promotes muscle/tendon function and proper alignment. 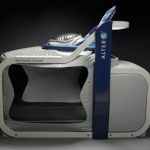 Alter Gravity (AlterG) Treadmill – Allows an athlete with an injury that might preclude them from weight bearing to run during rehabilitation of the injury. We consider it both necessary and crucial to involve the patient not only in understanding their condition or injury but also in participating in fixing it by doing as much work at home, on his or her own, as possible. By doing the home stretching and strengthening routines patients can often avoid numerous trips to therapy. I feel most patients, if given the proper tools, do not need to be baby-sat and pay someone to watch them exercise. 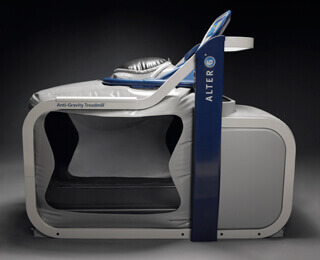 We also employ the latest technology in the rehabilitation of leg injuries by using Alter-G technology. The Alter-Gravity treadmill allows a patient with significant leg pain during standing, walking or running to walk or run pain free due to the Altered Gravity decompression chamber. By getting the patient ambulatory without pain great strides are taken towards correcting their leg pain quickly.